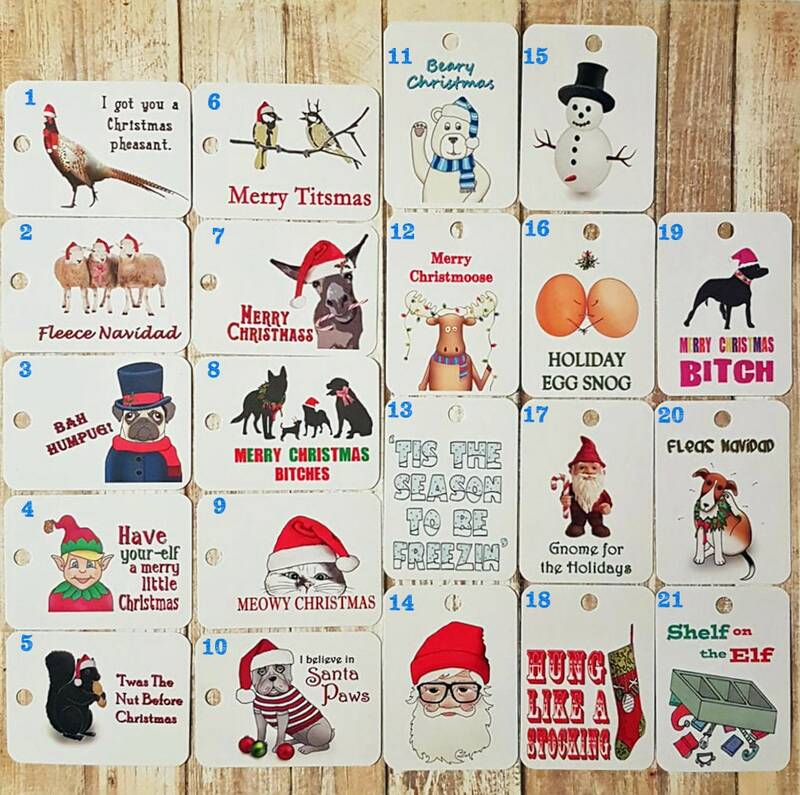 Mix & match funny Christmas gift tags for a set of 10. Our punny gift tags are sure to get a laugh! Please note in the "note to seller" section how many and of which tag you would like. -shipped in a protective cellophane sleeve and a stiff cardboard envelope. -all orders are processed within 1-3 days. Please allow 3-5 days shipping to the US via USPS.